However, as we approach the end of September, the central FL summertime pattern of daily thunderstorms often transitions into a mini “dry-season” for October / November. Now is the time when you’ll want to be 100% sure your sprinkler system is working properly and putting water where it’s needed. PRO TIP: Different brands use different thread patterns, so be sure to get the correct ones! Check if turf overgrowth is preventing full extension. If needed, cut away turf to allow head to pop up freely. If unable to resolve, it’s easier to replace the head than try to repair the seal. PRO TIP: Be sure to match spray pattern & precipitation rate. Missing nozzle = “Old Faithful” is erupting in your yard. PRO TIP: Be sure to match spray patterns & precipitation rates. Rather than spraying water across the entire lawn, the head is basically pressure-washing the nearby grass. Minimal spray/mist gets beyond the adjacent turf. Uneven coverage results in dry patches of turf. Install taller heads. For example, replace a 4″ riser with a 6″ riser. PRO TIP: This may require a ‘swing joint’ to keep the retracted head flush with ground-level. 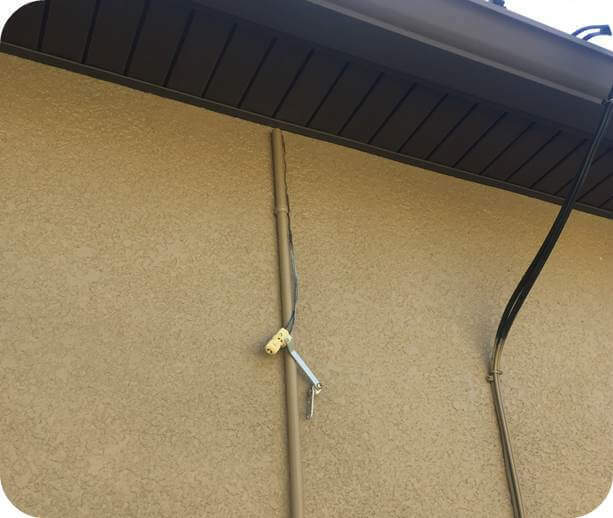 After repairs, perform a “catch-can” test to ensure even coverage throughout the zone. Carefully unscrew the nozzle, remove debris, clean or replace the small filter. PRO TIP: When removing a nozzle, be careful not to lose any small parts – springs, filters, etc. Option 1: Obstructed Spray – Looks like: An object (i.e. shrub, new fence, etc.) is blocking spray pattern. Sounds like: You’re pressure-washing your plant, fence, etc. Option 3: Mixed heads – Looks like: Combo of different brands/models, or rotors/sprays present in a single zone applying water at very different rates. Obstructed spray: Relocate the existing head – OR – cap off existing head and add a new one in better location. Trapped head: “Rescue” trapped head(s) from below turf stolons by cutting away turf overgrowth. May be causing erosion or washed-out area in landscape bed. Repair drip tubing with appropriate “goof plugs” or other fittings as needed. PRO TIP: If trees and/or shrubs are well-established (greater than 5+ years old), determine whether continued drip irrigation is still necessary. Drought tolerant trees and shrubs may be self sufficient once fully established, reducing or eliminating the need for regular watering except in times of prolonged drought. 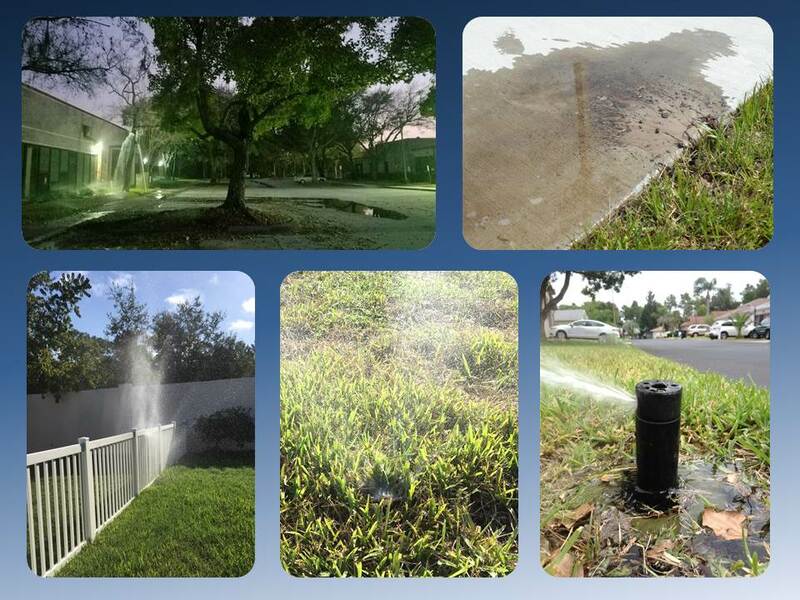 NOTE: In addition to the basic wet-check items listed above, there are a number of timer programming issues, rain-sensor issues, valve-related issues, and landscape tasks (mulching, etc.) which are worth checking as we approach the fall dry season… but to keep this post manageable, I’ll be covering some of those other issues in upcoming posts. Check back soon! Preview: How much rain can a rain sensor sense if the rain sensor can’t catch rain? About the Author: As Florida Friendly Landscaping (FFL) Program Coordinator in Pasco County, Frank helps residents, homebuilders, and businesses of Pasco to create attractive, resilient, low-maintenance yards and communities while reducing over-reliance on irrigation, fertilizer, and pesticides. (Click to learn the 9 Principles of Florida-Friendly Landscaping!) Through an innovative collaboration with the County Utilities, Frank provides on-site assistance to individuals and communities identified as high water users. He can be reached at (813)929.2716.